Information is a hugely important asset – we live in an information economy, after all. Distilling information into concrete, actionable knowledge is the way your customers build their skills and stay on track. Successful professionals are always boning up on one topic or another. 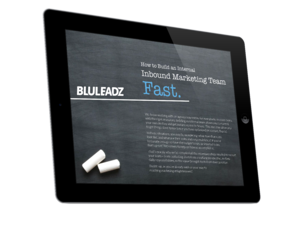 When your leads take the plunge and become customers, your product suddenly becomes one of the many, many things they need to be informed about. The longer it takes them to get over the learning curve, the longer they’ll have to wait before they see that all-important ROI. While companies have always had user manuals, FAQs, and help desks, the most successful ones are taking things a step further. Enter customer education, the latest way to make life easier and more productive for your customers. There’s no trick to it: Customer education is exactly what it says on the tin. When you launch a customer education program, you make a commitment to provide current and future customers with the knowledge they need to be skilled users of your product. While your inbound marketing attracts leads, customer education helps those who’ve made the leap. Written materials, such as a purpose-built blog. Multimedia, including skill-focused video content. Knowledge bases and interactive AI chat bots. Webinars where you provide group instruction. Interactive assessments like tests and quizzes. Direct contact with your customer service reps.
You might notice many of these formats already appear in your content marketing. If so, that’s great! It means you already have some of the experience and knowledge you’ll need to build a customer education program that works. But customer education goes a step further: Consider it a “walled garden” of resources intended to tackle product-oriented questions and concerns. In addition to training customers on your solution, you can also equip them with insights they can apply to broader business challenges. In terms of the topics it covers, customer education can be broad or narrow – but it’s more than just a help desk. It relies on the concepts of self-service and one-too-many educational approaches to remain scalable even as you attract more users. If you’re a B2B enterprise, your customers thrive on information and learning. Sharpening their skills is an absolutely essential part of staying ahead of the game. Helping them do it benefits you, too – in many ways you might not even expect. 1. Onboarding Is Faster and Easier (on Both Sides). Onboarding is how customers get a running start using any product. However, businesses can only onboard so many people in a day. Customer education methods focus on allowing the audience to access materials when they choose, using largely automated methods. They get a consistent experience, and you don’t have to run yourself ragged onboarding scores of users. 2. You Can Start Everyone Off on the Same Level. It’s inevitable that sophisticated business solutions have a learning curve. While some people like to dive in and figure things out as they go, this inevitably leads to key features being overlooked. When everyone starts with the same information, it’s much easier for them to find the functionality they need to achieve their goals. That means greater customer satisfaction. 3. You Might (Finally) Get Rid of the Support Bottleneck. Your help desk provides an invaluable service to your enterprise, but it does so at a great cost. Help desk roles have high turnover, and customers rarely like having to wait for an answer. With a strong customer education strategy in place, more people will take initiative and find the solution on their own. Makes sense, since a handful of common issues account for most calls! 4. You Can Control (or Reduce) Headcount. After implementing a customer education program, many enterprises end up reallocating the resources that were once devoted to support. You can focus on high-level tasks, keeping your workforce nimble and skilled. The customer support reps on your team, meanwhile, will field a lighter volume of calls and be able to provide more of their time to each caller. 5. Customers Will See Your Value. Knowledge is a differentiator. When you implement a customer education program, what you’re really telling people is you won’t leave them in the dark. By helping them stay on the cutting edge, you’re building a relationship of trust. You’re also providing assets that go above and beyond your product – assets they’re not likely to find anywhere else out there. 6. Product Development Becomes Easier. Imagine getting specific, actionable feedback from informed users who know all the ins and outs of your product. It won’t happen overnight, but more of your users will be able to provide you with the juicy details you need to knock their socks off in the future. Plus, you’re likely to get more responses when you send out customer response surveys or “open beta” product tests. 7. Your Marketing Gets More Effective. Customer education isn’t marketing, but the two do influence one another. Your educated users are more likely to become internal champions who will advocate for your brand. That means they’ll be on the lookout for limited time offers and add-ons that can deepen value. Of course, you should segment your mailing lists so you have truly focused messaging. When you know how something works, you get comfortable with it. Heck, that’s the reason why some people might keep the same car for a decade or more even though they can afford one with all the fancy bells and whistles. Instead of relying on the fact that changing solutions is a chore, now your user base will have affirmative, value-added reasons to keep you around. 9. You Can Develop a True Community. Educated users often like to show their stuff. That leads to the development of user groups and meet-ups around the products in question. Many of these are likely to pop up on LinkedIn and other sites where you can listen in. You might also use this natural organizing principle to build your own banded social media communities where you can encourage engagement. 10. You Position Yourself Alongside Successful Brands. Top brands are already focusing on customer education, whether they call it that or not. When you think about it, Google itself is an education engine: People go to the Big G to get answers, to solve problems, and to be more effective at whatever they do. Leaders inform and educate others, and making that a priority is a step on the road to enduring thought leadership. Customer education is going to happen one way or another. Most of your customers are out there on the mean streets of the internet, educating themselves on something, right now. Your customer education program can help your customers get the knowledge, skills, and abilities they need for tomorrow. That puts you in the position of an advisor. To make your knowledge a differentiator – as important as your features and price, or more – customer education is the golden ticket.